BNP Secretary General Mirza Fakhrul Islam Alamgir on Tuesday said his party’s Chairperson Khaleda Zia is very sick. He also alleged that her doctors are not giving proper treatment. He expressed concerns that doctors at Bangabandhu Sheikh Mujib Medical University (BSMMU) are not giving her proper treatment and called for the government’s attention to this regard. 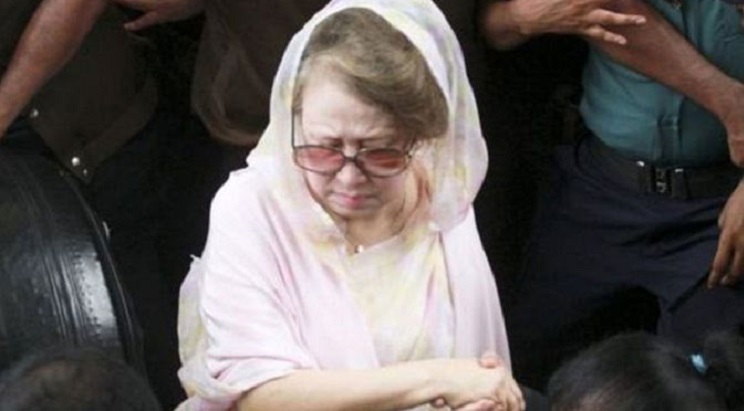 BNP chief Khaleda was taken to the makeshift court inside Old Dhaka Central Jail in a wheelchair around 12:40pm for hearing on charge framing in the graft case. Fakhrul reached the court at five minutes before Khaleda did and sat beside her in a chair till the end of the hearing at 1:20pm. He was seen talking to Khaleda several times. The court granted a time petition which was filed for BNP standing committee member Moudud Ahmed, an accused in the case, as he was not present at the court.